I almost forgot about my simple 1995 design and my old web site. Today I run into it after browsing through some old image files. 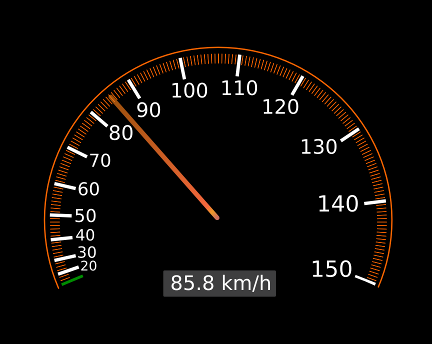 Your design looks nicer, but both designs probably have no chance: These speedometers display unwanted information. This is super interesting! Love your side projects. Why still mark the increases in increments of 10? Why that arc length, and not another one? Why that specific uniform density for the smaller lines, and not some different specific uniform density? 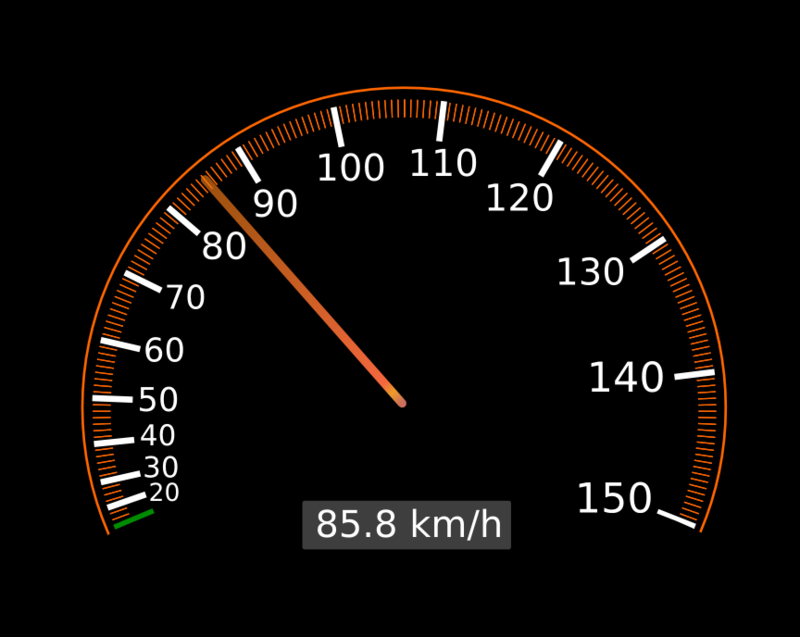 So, would we perhaps want a slowometer, expressed in time per distance, instead of distance per time? These are all interesting ideas. Would love to see the outcomes if you make some sketches.